As the Internet of Things, applications continue evolving at sky-rocketing speed, it is believed to be the future of the digital era, introducing the concept of smart homes, smart cities, connected machines and cars and etc. Moreover, several healthcare units, industries, logistics businesses, etc will flourish, with this concept of complete connectivity. Well, in such siyuation mobile devices such as tablets, and more importantly smartphone act as the main interface via which IoT-enabled devices can interconnect. From real-time monitoring to tracking the assets and manufacturing units, controlling different metrics, can be controlled by mobile itself. Certainly, mobile apps have dominated the market worldwide. 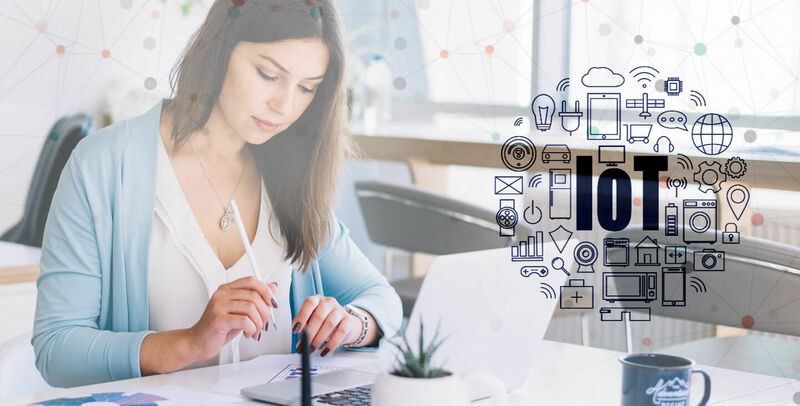 And the industry more likely to go with IoT application development, as mobile app development software and mobile apps, are streamlined to create smarter devices that could boost each and every aspect of people making things more simpler and easier. Today, mobile devices come with geo-location feature, sensors, and applications, that reveal great information about the users. Furthermore, mobile devices offer numerous connectivity choices, such as Bluetooth, WI-Fi, and cellular, allowing to interconnect to other sensors and devices. And these qualities of mobile devices makes it ideal for IoT ecosystem score. The IoT platform space is important and is promises a great future for IoT app developers, although, this giant technology is confusing at the same time. In IoT, the connected "things" send and receive data through the network relating to a variety of physical characteristics such as temperature, moisture level, pulse rate, light level, velocity or revolutions per minute. Further, it also helps to track complex data for maintenance requirements, sounds, and static or moving images. With the booming opportunities of IoT, today, many analysts state that the there is more such area to be explored. A survey by Acquity Group (a part of Accenture) unfolds that two-thirds of consumers look forward to buying connected technology for their homes by 2019 and nearly half expect to buy wearable technology. Moreover, according to Gartner, the total number of connected consumer, business and industrial "things" will increase to 26 billion units by 2020, showing approx 30-times increase over the 900 million things in 2009. No denial of the fact that IoT has already started to change the overall phase of mobile app development. No sooner, we can expect huge job prospect in this space. Well, as we know IoT is not as simple as the word suggests. Thus, to achieve the ultimate goal utilize IoT technology with mobile apps development, it is very necessary to establish a platform from the ground up. Root Info Solution, one of the leading IoT application development company, also specializes to deliver IoT agriculture app development, farmers apps, and agriculture apps to give a rich space to the agriculture Industry to render a great opportunity that boosts productivity and doubles the ROI. Mobile apps have created the foundation for the rise of the Internet of Things. Hence, the mobile application is a viable option for businesses and meanwhile helps to stay ahead in the competition. It also provides convenience to people from all walks of life.